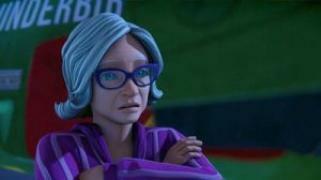 When will be Thunderbirds Are Go next episode air date? Is Thunderbirds Are Go renewed or cancelled? Where to countdown Thunderbirds Are Go air dates? Is Thunderbirds Are Go worth watching? 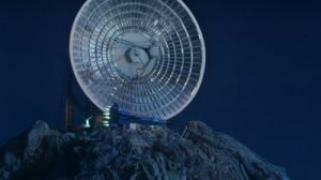 Thunderbirds Are Go is a remake of the hit 1960's television show. In the 21st century, Jeff Tracy, a former astronaut, amasses a colossal fortune and decides that he must use it to benefit others. His answer to this desire is to create International Rescue, a unique private emergency response service equipped with customized designed vehicles and equipment that enable the organization to react to any crisis whether it be in sea, air, land, or space. Jeff's five sons volunteer to operate as the pilots and field agents, as well "Brain" who acts as the teams engineer. In addition, Jeff's friend, Kyrano and his daughter Tanusha aka Kayo (based on the original series Tin-Tin character) agree to be the support staff. In addition to the field team, IR also maintains an intelligence network with Lady Penelope and her ex-con chauffeur, Parker as the chief agents in this arm. The series depicts this team as they answer various calls for help around and beyond the world while they prevent enemies like the Hood from learning and exploiting their secrets. A geological survey team gets trapped when a huge Earthbreaking vehicle causes them to fall into a narrow crevice. Scott, Virgil and Kayo take off in Thunderbird 1, Thunderbird 2, and Thunderbird Shadow after the Earthbreaker takes out the responding GDF fliers. The vehicle's controller, known only as The Mechanic, attacks and damages Thunderbird 2, leaving Virgil no choice but to make an emergency crash landing back on Tracy Island. Meanwhile, Lady Penelope and Parker visit the Hood in Parkmoor Scrubs prison to find out more about this mysterious new villain. In the end, Scott evacuates the survey team while Kayo takes on the Mechanic. They barely make it out when the villain sets his vehicle to self-destruct. GDF Captain Ridley O'Bannon sends out a distress call during a routine inspection of the derelict generation ship known as EDEN (intended to travel the stars for hundreds of years). John and Alan answer the call. Together, the trio explores the ship and discovers leftover equipment known as Builder Bots. They also find two space "pirates" named Reece and Dobbs causing mischief. As the mystery comes to an end, the pirates accidentally reverse the bots' programming, causing them to tear EDEN apart. With the help of John's Mech Suit, they escape. Thunderbird 3 is called out to Europa, a moon of Jupiter, when a pair of documentarians fall into an ice ocean, leading Alan to make first contact with an alien lifeform. A family becomes trapped in a city that is being overtaken by rising ocean tides. When a transport ship carrying colonists heads straight into an asteroid belt, Thunderbird 3 is deployed to regain control. Reboot of the classic children's animated adventure series. 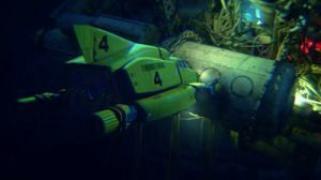 A survey vehicle stalls at the bottom of the Marianas Trench, just as it discovers an old plane once flown by Jeff Tracy. Gordon takes Thunderbird 4 down to save the crew, but danger awaits in the form of an old foe. Reboot of the classic children's animated adventure series. After the Mechanic flees the scene with the TV-21, Scott is in hot pursuit. But, when the villain steals some volatile iridium, Brains must make drastic alterations to Thunderbird 3 to save the day. Reboot of the classic children's animated adventure series. When seismic activity near the coast of Greece reveals the lost city of Atlantis, two scientists venture below the depths to explore the area. But when their submarine becomes stuck, International Rescue are called out to assist. Reboot of the classic children's animated adventure series. A comet brought into the Earth's orbit takes a wrong turn. International Rescue must intervene to stop it from colliding with the planet - and the space station between them. Reboot of the classic children's animated adventure series. Scott attempts to rescue a mysterious balloonist when his hot air balloon crashes on the top of a mountain. Reboot of the classic children's animated adventure series. The team travels to Langstrom Fischler's newest invention to stop a hive of malfunctioning weather drones. Reboot of the classic children's animated adventure series. 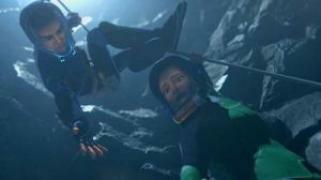 Scott, Virgil, and Kayo assist a plummeting cargo zeppelin with a deadly loading claw and volatile fuel source. Reboot of the classic children's animated adventure series. A mysterious tunnelling vehicle leaves a worker trapped in its wake and it is up to Gordon and Virgil to free him. Meanwhile, Parker and Penelope track down the digger and discover an old foe at the controls. An eccentric scientist has inaccurately predicted the eruption of a volcano for the past decade. This time, however, he invokes a special science code of honour that brings Brains out to his location. The Tracys visit a family estate away from Tracy Island, but a mysterious intruder threatens their solace. Conrad, a young traffic controller makes a slight error, which ends in catastrophe aboard the orbiting Spacehub transit terminal. 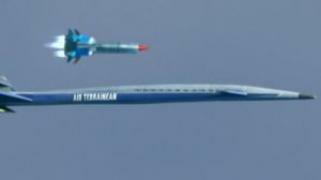 Alan launches Thunderbird 3 and is able to buy Conrad time. Lady Penelope, Parker and Kayo arrive on the scene of a massive semi-submersible ocean oil rig to decommission the polluting relic, but supervisor Malloy has other plans. The Mechanic sets his sights on destroying The Hood. While International Rescue scramble to save their former foe, Brains goes on a dangerous mission. 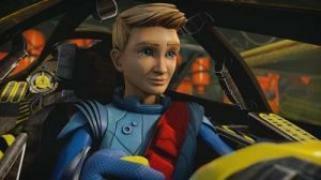 Thunderbirds Are Go next episode air date provides TVMaze for you. 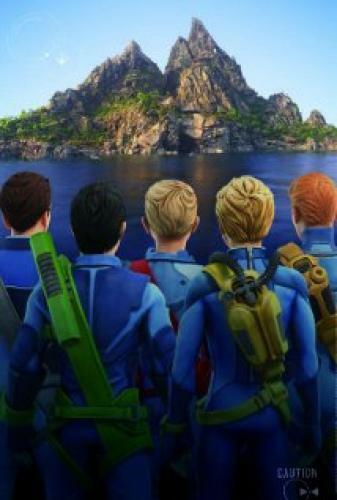 EpisoDate.com is your TV show guide to Countdown Thunderbirds Are Go Episode Air Dates and to stay in touch with Thunderbirds Are Go next episode Air Date and your others favorite TV Shows. Add the shows you like to a "Watchlist" and let the site take it from there.